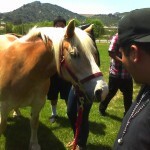 High School students get a kick out of horses. 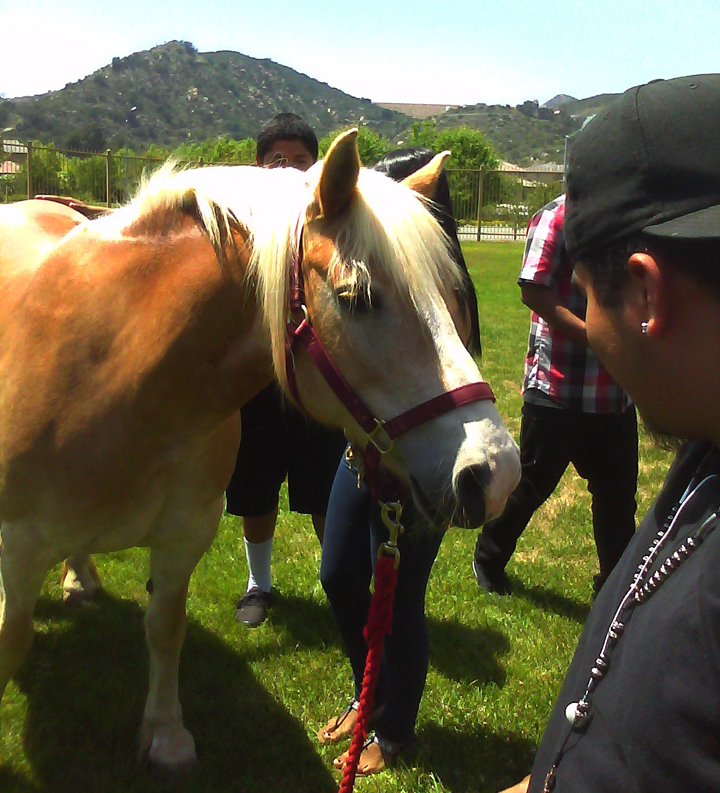 Lulu and Rebel went to Valley High School to show students that horses are fun and friendly. The horseback riding club achieved a new dimension. 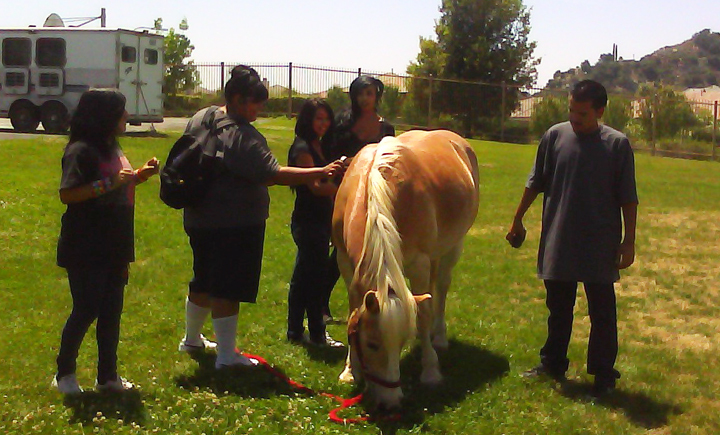 Dozens of students who had never even been near a horse, got to pet and brush two willing equines.